Going on a holiday but not sure if your neighbor would be willing to look after your pet yet again? Owners of dogs and cats need not worry about being stuck in this dilemma any longer with Bagong.cn, a Chinese startup that was launched in April 2013, which aims to solve this problem by providing pet owners with a list of pet stores or animal hospitals that offer boarding services. Available as an app and website, users living in Beijing and Tianjin can simply enter the district they’re living in to pull up a list of available stores or hospitals near them. Each listing displays a collection of photographs of the venue, as well as the price range for boarding on a daily basis. The pet owners can then indicate the type and size of their pet, which determines the cost per boarding day. Following which, an online reservation and payment is made before the owner drops the pet off at the designated venue. Owners are also required to provide their pets’ immunization records and certification (dogs only) to the venue. A listing of one of the available pet shops that provide boarding services. 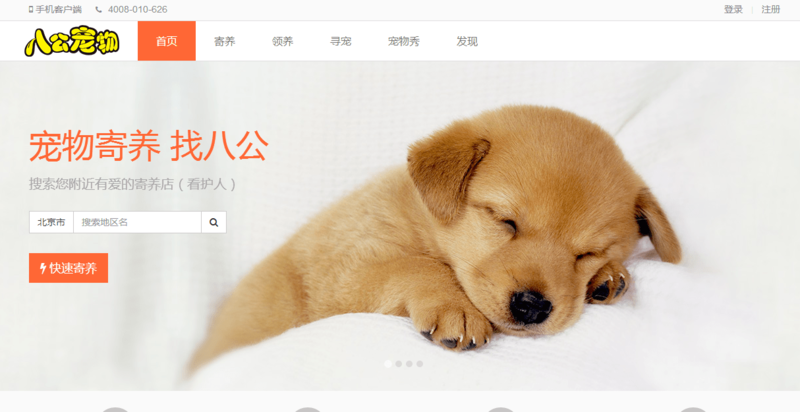 Apart from being a platform for boarding services, Bagong also allows users to list animals available for adoption, and interested parties are able to contact the owners via private message, WeChat or mobile phone and adopt a pet free of charge. Potential pet owners can adopt a pet free of charge on Bagong. Those whose pets are missing or lost can also put up a notice with relevant information, and others can help to spread the message by sharing the notice on social platforms such as Qzone, Weibo or WeChat. Other sections on the site include Pet Show, where pet owners can share images or GIFs of their animal companions, and Discover, where owners can find a wealth of information about raising their pets and feature stories. Bagong has come up with an identification tag for pets to wear around their necks, making it easier for owners to recover their dogs or cats if they run off. The back of the tag holds a QR code which displays the pet’s information, such as its owner’s name and contact number. In the event that your dog wanders away from you, strangers who come across your pet would be able to easily retrieve your information and return the pet safely. Currently, Bagong is offering a free tag for each mobile number registered, and preorders can be placed here. The Bagong team is also looking into bringing in smart hardware for pets next year, as well as an independent app called Bagong Pets that serves as a platform for more services such as pet grooming, bathing, training, and medical services.